The St. Louis Cardinals gained control of the Columbus baseball franchise on February 12, 1931. The man in charge, Branch Rickey, decided that they needed a new park and the Sunshine Park site would be perfect and Cooper Stadium was built. The Columbus Red Birds flew the Coop (I can't believe I just typed that) in 1954. Columbus, owners of a park without a team, mobilized under County Commissioner Harold Cooper. They brought the Jets in and renamed the stadium in their honor. Up until then it was called Red Bird Stadium. In 1970, Jets Stadium badly needed repairs and the city would not perform them. Once again the city had a baseball teamless stadium that was saved by Harold Cooper. 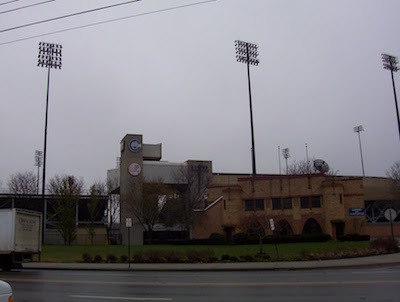 He was able to get tax dollars to renovate the stadium, and in 1976 the Memphis franchise moved into Cooper Stadium (which was named after non other than Harold Cooper in 1984) and became the Clippers. In 1940, the original dimensions of this park were changed to LF 457 CF 430 RF 316. Only Joe DiMaggio, the Yankee Clipper, in an exhibition game and Ralph Kiner ever hit a homerun over the left field fence. This park was the first minor league facility to install Astroturf, but they reverted to natural grass in 2000. The field dimensions are exactly the same as those at Yankee Stadium. On July 16, 1982, Columbus pitcher Lynn McGlothen shouted "Tornado!" as the sky darkened. A thunderstorm hit the park, followed by a tornado. CNN reported that there were massive casualties, but this was untrue. In the back of Cooper Stadium is George P. Dysart Memorial Park. This is a small park that is landscaped like a baseball diamond. 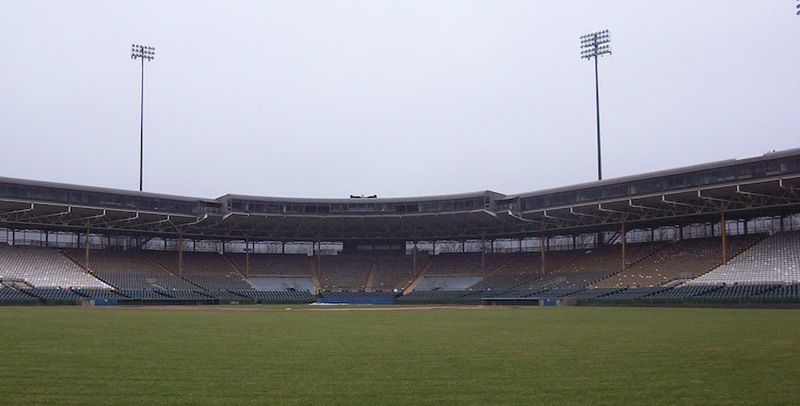 This park has mostly covered grandstand seating, but has exposed bleachers down the left field line. 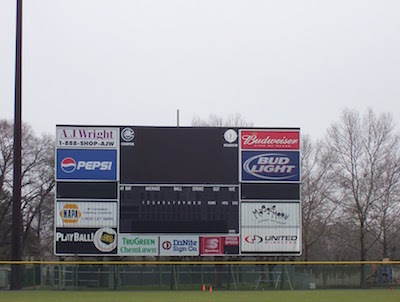 There is a manual scoreboard underneath a video board, pictured below. I visited this park during the off season, so I wasn't able to see a game. However, a groundskeeper let me in to look around and take a couple of pictures. I know Columbus has been batting (wow, I am full of puns today) around the idea of a new park. I have mixed feelings about this. On one hand, Cooper Stadium is the oldest park in the International League, it is in good shape, and steeped in history. On the other hand it is a drab, boring park, in a crummy neighborhood, a while away from downtown. This park reminds me of that old pair of jeans, do you throw them away, even though they are old and out of style, even though they feel great?